Nom nom!!! 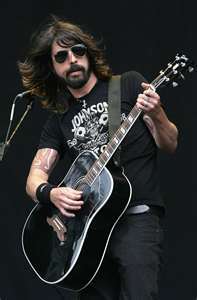 Can't resist a bad boy rocker, am seeing the Foos in August!! That's a big old VOM from me - does absolutely nothing for me at all! HOT HOT HOT HOT HOT.....*deep breath, fans oneself* HOT HOT HOT! NOM. NOM whilst banging drum and climbing like a coconut tree. It's ABOUT TIME you did the Grohlmeister. Even the fact he's a guitarist cannot hide the fact that he looks like a 1970s, shroom tea drinking throwback that should be living in his parents basement and reading comics. ^^That's a bit of a strong reaction for me this morning - I need more coffee to mellow me out methinks! Difficult one for me. I LOVE Mr G with all my heart and have done since waaaay back in the Nirvana days. Great voice, great musician, amazing songwriter, all-round cool guy, BUT I really don't fancy him. At all. Nom nom nom nom nom nom nom. Om nom nom nom nom *falls on floor in a faint*. Yay! NomNomNomNomNomNomNomNomNomNomNomNomNomNom *repeat to fade* God I love him. 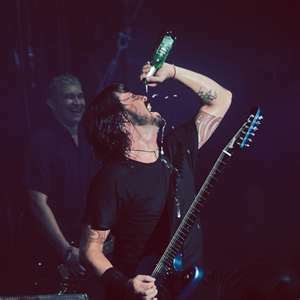 I love Mr Grohl, total NOM! Yay finally the grohl gets the nom or vom treatment. Its a big fat huge NOM from me :) he is HOT! 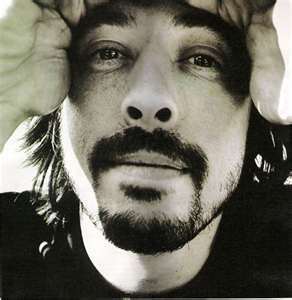 I'm a straight male, but I want to be Dave Grohl. Not cos he's nom (or vom), but because he's the best drummer in the world, and is renowned as the nicest guy in rock. He's a good dad, friends with everyone, happy, funny, and has a brilliant laugh. Im sorry Kellie, but he is neither nom nor vom. He is VILE!! Kelly, you are legen.... (wait for it)..... (wait for it)... DARY. I am into heavy metal, I ADORE lots of men in metal. But vom from me! Om nom nom indeed. 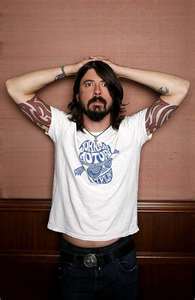 I often tell OH that if Dave Grohl comes along I am not to be punished for my actions (running away with him). OMG OMG OMG I've been waiting for you to NorV the Grohl and I nearly ruddy missed it! Nom, nom, a thousand times nom. I think MrNightingale would as well, to be fair. long haired and sweaty, I don't think I need to say anymore. Om nom nom nom nom nom nom! With a side order of NOM!